We have a comprehensive range of cost-effective plans to suit all types of Logan businesses and residents. Whether that’s full-on IT support when you need it most, or regular health checks to aid optimisation, you can count on White IT. For a free no-obligation quote, contact us today and put us to the test. 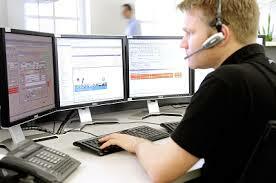 In addition, for Logan residents and businesses we also provide a remote system monitoring service. Our engineers can access your system remotely in order to perform regular and ongoing system health checks. In doing so you never have to worry about costly computer crashes or a slow running PC again. Instead your PC remains fully optimised; that’s day after day, month after month, giving you complete peace-of-mind. For your business to function properly you need reliable technology and this is where White IT can help. We offer full IT support, computer upgrades, and computer repairs for all types of computer or laptop. Whether it runs on Windows, Apple, or Linux operating systems, our engineers have the skills to locate and fix a problem fast. In other words we’re your ‘go to’ service guys in Logan and the surrounding areas.